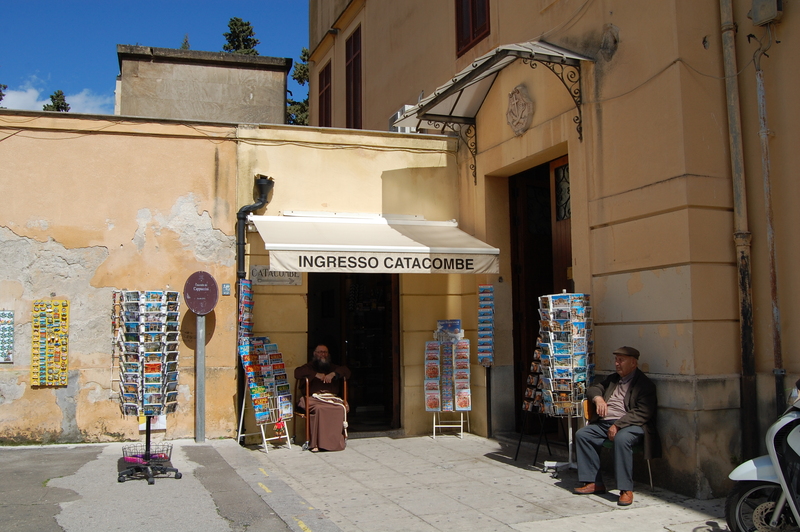 I visited the Capuchin Catacombs of Palermo, Sicily. This unique historical catacombs contains more than 8000 mummies that are lying in repose or hung from hooks by their necks and feet on the wall. 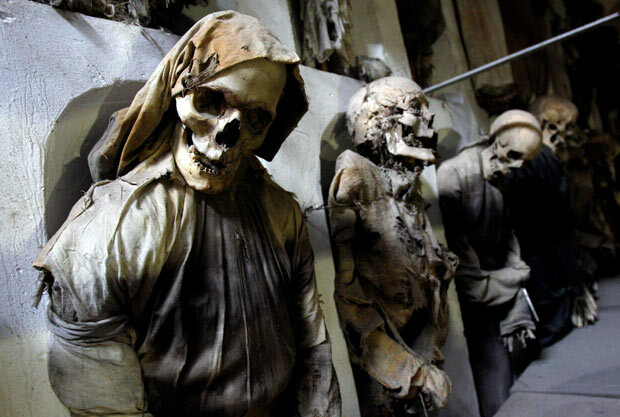 In 1599 Capuchin monks discovered 45 friars naturally and mysteriously mummified in their catacombs. The Capuchins believed that this incredible preservation was an act of God. So instead of burying them, they decided to display the bodies in niches along the walls. The Capuchins slowly accepted more laypeople. Then, in 1783 they decided to accept burial to anyone requesting it. 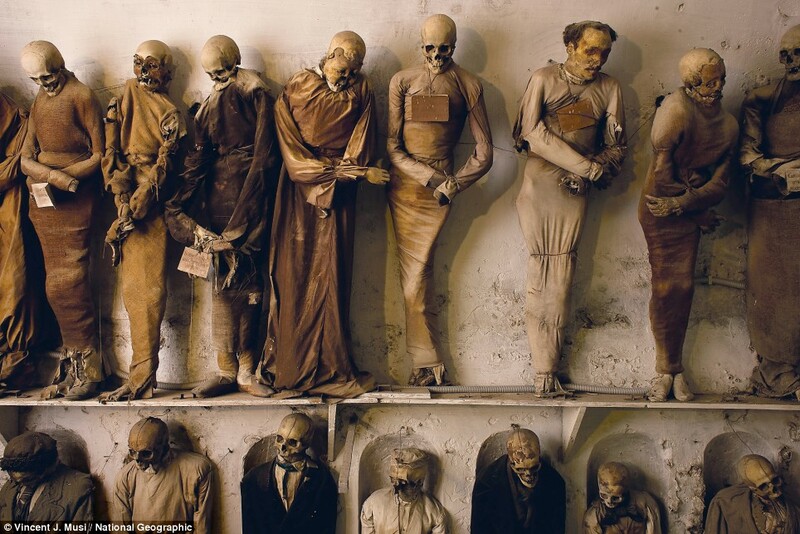 Since then, thousands of people, especially wealthy citizens of Palermo, men, women, virgins, children, priests, monks and professors are buried in their best clothes. It was amazing to see many of them were wearing beautiful clothes that weren’t quite decomposed. I was a bit concerned that some mummies’s necks seemed uncomfortably positioned. It is intriguing that this way of burial attracted many people then.